Matt Cutts may be the new casanova in the Geek community. 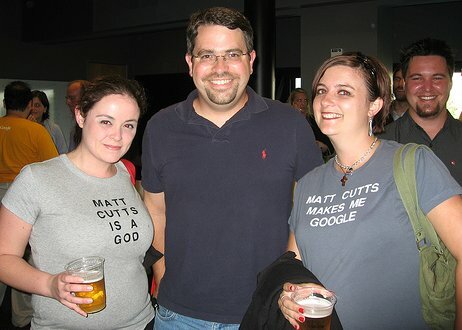 This picture of Matt Cutts with his lady fans was shot by Chris Pirillo of Lockergnome. Is that guy on the right Matt Cutt's brother ? He resembles Matt so much including the beard style.